Construction sites are among the most dangerous workplaces, and data from the US Bureau of Labor Statistics proves this point. In 2017, more than 4,700 employees were hurt in non-fatal construction accidents in Virginia. If you were hurt in such an incident you may be entitled to receive workers’ compensation benefits. Because the eligibility rules are complicated and the claims process is complex, it is wise to reach out to a Virginia Beach construction accident lawyer for assistance. Mr. Hoen has more than three decades of experience helping victims of construction accidents in Virginia pursue the benefits they deserve by law. Please contact Hampton Injury Law PLC to schedule a free case evaluation regarding your claim today. 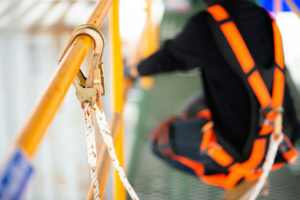 The Virginia workers’ compensation system provides monetary support to employees who are hurt at work, including victims of construction accidents. If you meet the eligibility rules, you may receive benefits, which depend upon your specific circumstances. A third party caused your construction accident injuries, such as an independent contractor or vendor that was present at the site. Your injuries must be the result of an incident that occurred in the workplace while you were performing job-related tasks. In addition, there are deadlines to note. First, you must notify your employer of a construction accident within 30 days after it occurs. Plus, if you cannot resolve your claim with your employer’s insurance company, you have two years to file a claim for benefits and take the matter to the next level — The Virginia Workers’ Compensation Commission. Death, for surviving family members of an employee who suffers fatal injuries as the result of a construction accident. For more information on your rights and remedies after an injury-causing construction incident, please contact Hampton Injury Law PLC to schedule a free case evaluation with Mr. Hoen. You can call our firm or go online to speak with a Virginia Beach construction accident lawyer about your claim.